Every Beating Second, 2011 by Janet Echelman. If you’ve been through the San Francisco National Airport as of late, chances are you’ve had the pleasure of viewing Janet Echelman’s newest commission by the Zone of Re-composure Competition: Every Beating Second, 2011 (pictured left). 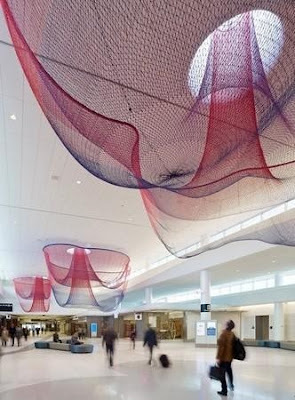 It occupies three round skylights of the ceiling, where translucent colored netting hangs gracefully, swaying with mechanically made airflow that changes its loose shape. In the evening, the sculpture is transformed with colored lighting—changing from indigo to purple and magenta to red-orange. 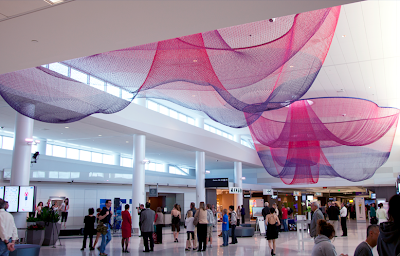 Netting hasn’t always been Echelman’s first choice of medium. She truly found herself as an artist when she discovered fishnet fourteen years ago. After graduating from college and wanting to become an artist, Echelman applied to seven master's art programs and was rejected by all of them. Consequently, she went off on her own with her relenting desire to be artist and began painting. She painted for ten years, and was presented with an opportunity to have an art show in India. She flew there, and had her paints shipped separately. When it came time for her show, her paints hadn't arrived. 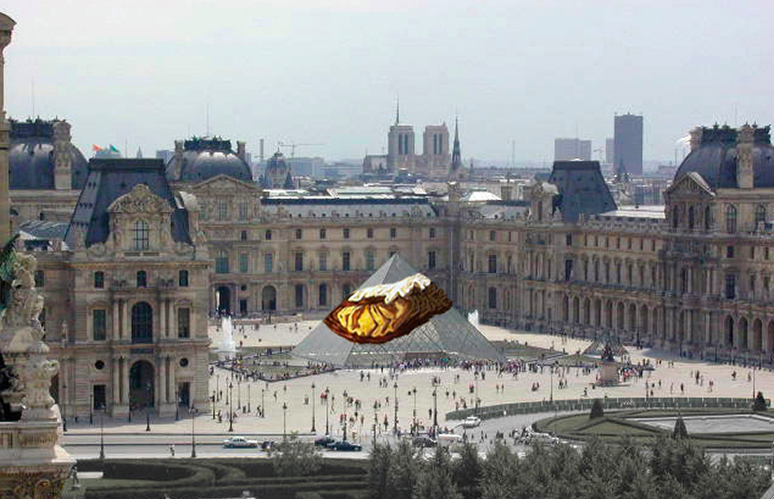 For fear of letting the small fishing village (known for sculpture) down, she began brainstorming. She considered bronze casting, but quickly vetoed the idea due to the cost and weight. One day while taking a walk along the beach and watching the fishermen pile up all their fish with nets—for the first time—she saw fishnet in a different light. With the help and collaboration of some local fishermen, her first gratifying piece was a self-portrait titled, Wide Hips. Her career as an artist has never been the same since. Echelman’s sculptural work is beyond breathtaking. The unique and quirky artist wanted to create large volumetric form without using heavy solid materials. Instead of creating small sculptures, her goal was to construct much larger scale pieces—provoking viewers to become completely captivated. Hence, she devised buildings sized sculptures the length of two city blocks. Most of Echelman’s works are located outside—having done years of research to accomodate her large fishnets medium—on how to preserve them and maintain them at all times. Roadside Shrine II, 2002. New York. 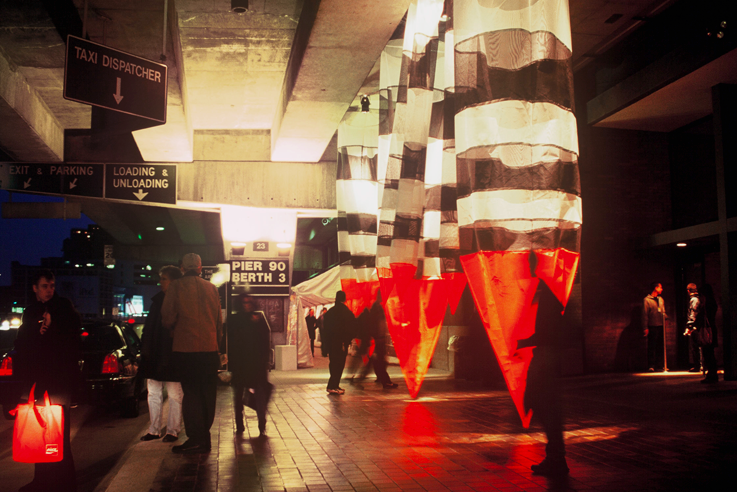 This piece was displayed at New York City’s Westside Highway at Piers 88 and 90 as part of the Armory Show in 2001, beneath the roadside cement overpasses. At night, there was lighting that was installed that made this installation illuminate as city-goers tried to get taxis. Water Sky Garden, 2009: Vancouver, Canada. This piece was commissioned for the 2010 Vancouver Winter Olympics and as a permanent fixture for the community. The location of this piece embodies the area it exists in with red-stained cedar that leads you through the art. 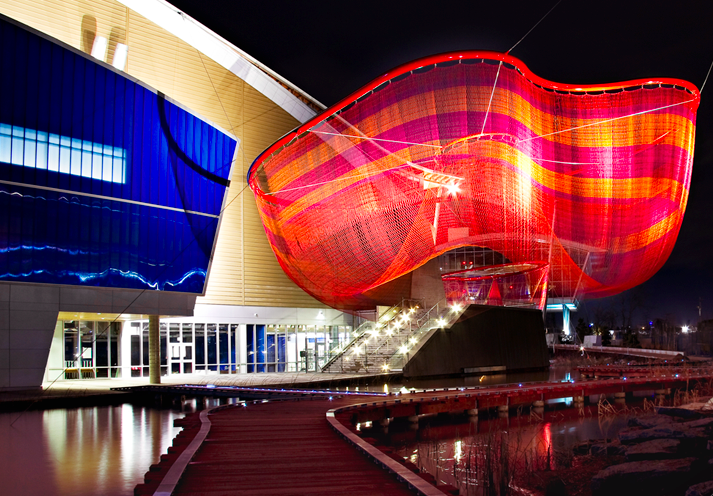 Echelman was commissioned by the city of Denver to create a monumental sculpture connecting the thirty-five nations that make up the Western Hemisphere. After doing some research, she was inspired by February 2010’s Chilean earthquake that literally shorted the length of Earth’s day by 1.26 microseconds. Inspiration for actual shape of the sculpture was from a three-dimensional form of the earthquake’s tsunami that rippled across the Pacific. She Changes, 2005: Porto and Matosinhos Waterfront, Portugal.